On a trip to London, you must have seen the Gherkin (= le cornichon), a 40-floor, 180 meter skyscraper situated in the City of London. The Gherkin is a nickname for 30 St Mary Axe also called the Swiss Re Building, Swiss Re being the world’s second-largest reinsurer (= réassureur, c’est-à-dire un assureur qui partage les risques pris en charge par un autre assureur, afin de limiter les risques auxquels celui-ci s’expose et d’éviter qu’un sinistre dont l’ampleur serait catastrophique ne conduise à sa ruine). When you look at the shape of the skyscraper, you can well understand what it derives its name from! A new skyscraper has very recently appeared in London’s skyline: the 43-floor, 148-meter Strata Tower, also known as the Razor. 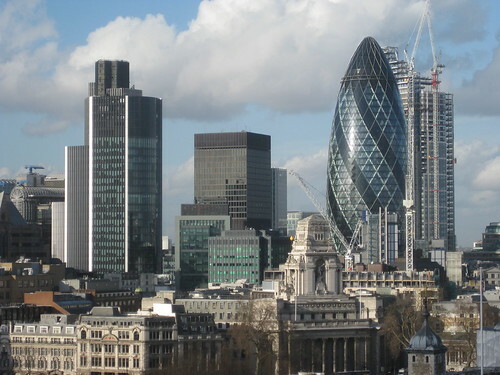 It comprises 408 apartments and is the tallest residential tower in central London. Three integrated nine-metre diameter wind turbines ( = éoliennes) are installed at the top of the tower where the wind blows at nearly 60 kilometers an hour. They set a new benchmark ( = un point de référence) in terms of environmental strategy as they are expected to produce approximately 8% of the building’s total energy consumption. 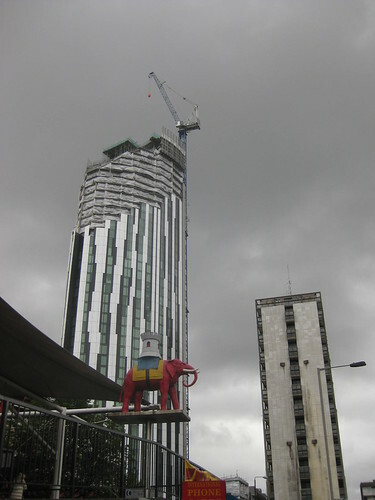 Elephant and Castle is an important road junction. Its strange name is thought to have its origins in a pub of the same name which has been there since at least the middle of the 18th century. It is generally believed that the pub got its name from a visiting Spanish princess or ‘Infanta de Castile’ which was too complex to pronounce so it became ‘Elephant and Castle’ while in fact, the place was previously occupied by a cutler (= coutelier) whose coat of arms (= blason) showed an elephant because of the use of elephant ivory in handles and the castle on its back is in fact a howdah, in India it is a seat traditionally used by hunters. In 2012, the highest skyscraper in London will be Shard London Bridge, also known as London Bridge Tower or the Shard (of Glass) (ici= l’éclat de verre), a 72-floor, 310 meter tower. Its architect,Renzo Piano designed it as a ‘vertical city’ that will include offices, apartments, a five-star hotel, restaurants and a public viewing gallery. Its construction has started in Southwark. 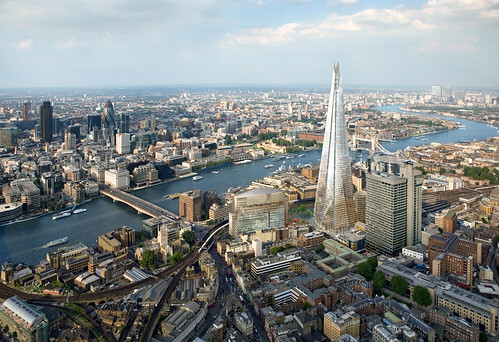 If you want to have a look at the Shard in the London Bridge Quarter, click HERE. 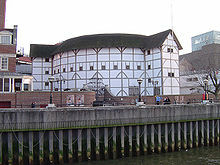 This entry was posted on mars samedi, 2010 at 0:49	and is filed under British Isles (The). You can follow any responses to this entry through the RSS 2.0 feed. You can leave a response, or trackback from your own site.